Which Canary Island Is Best For Your Next Holiday? The Canary Islands are one of the most popular tourist destinations in the world. Every year over 10 million holidaymakers flock to these seven Spanish owned islands, located off the North West coast of Africa. As here temperatures remain above 20 degrees Celsius all year round, making them the ideal choice even during the depths of winter. The islands take their name from the Latin word for dog, Canus, rather than our feathered friends. And they have been owned by Spain ever since the 1400’s, when the conquistadores subdued the native populations, known as the Maho or Guanche depending on which island we are referring to. Tenerife is the most popular of the seven Canary Islands and was one of the first to develop a mass market tourist offering. It is home to Mount Teide, the tallest peak in Spain, which effectively splits the island in two. Tourism is concentrated in the sunnier southern half of Tenerife whilst the bulk of locals – and visitors looking for a more authentic experience – are based in the north. Located right at the eastern end of the Canary Island chain Lanzarote is best known for its amazing volcanic scenery and wonderful golden sand beaches. This island is a lot less developed than Gran Canaria or Tenerife as a result of strict controls on tourist development. But there are still plenty of decent places to stay in and around the main resorts – visit Whitebeach Holidays online for more information. First time visitors are also usually impressed by the many creations of the local artist Cesar Manrique, who developed a series of visitor attractions, such as the Jameos del Agua, which work in perfect harmony with the surrounding volcanic scenery. Often referred to as the island continent sue to its varied terrain and microclimates Gran Canaria is the capital of the Eastern Canaries and the second most popular holiday destination after Tenerife. The island was in fact welcoming British tourists as long ago as the 1860’s, as intrepid Victorians began creating business and leisure links here. 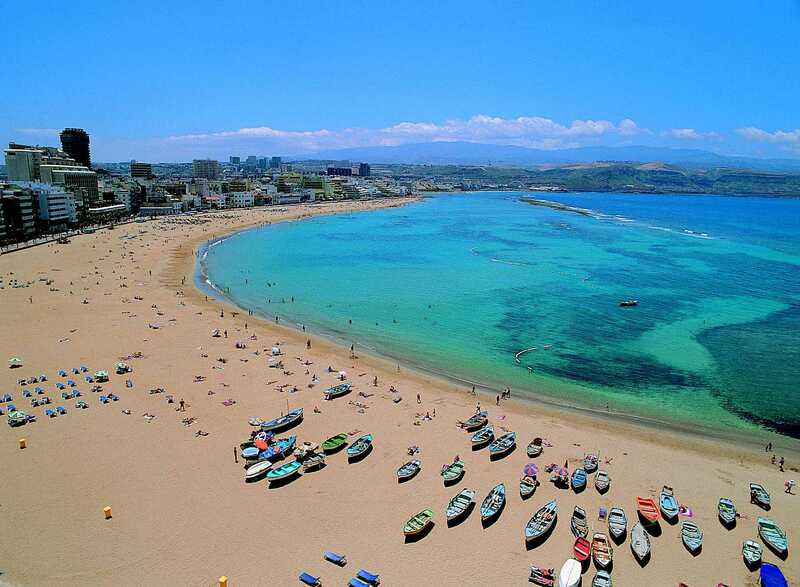 And today this has mushroomed enormously, with most holidaymakers heading for the beaches in the south of the island or for the capital of Las Palmas. If you’re looking for huge beaches and plenty of peace and quiet then Fuerteventura is the choice for you. The island is home to a number of good quality resorts such as Corralejo and Caleta del Fuste, as well as some truly enormous stretches of sand, such as the Las Dunas national park in the north of the island and Jandia in the south. The island is just a short ferry ride away from Lanzarote so it is easy to combine the two. With many tourists taking day trips from one to other. Those seeking a real break away from it all should take a closer look at the smaller islands of La Palma, La Gomera and El Hierro. And for the truly adventurous there is the so called 8th Canary Island of La Graciosa to explore – the beaches here are regarded as the best in the Canaries.